At this residence, enjoy a satisfying meal at the restaurant. Breakfast is available daily from 7:00 AM to 10:00 AM for a fee. 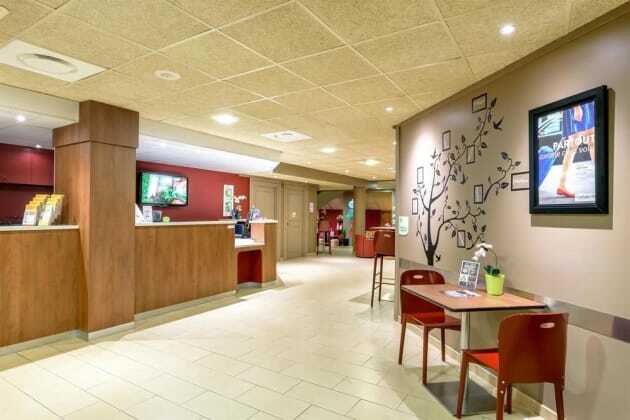 Convenient Toulouse Airport hotel with free parking and breakfast included Near the A621 Autoroute, Holiday Inn Express® Toulouse Airport hotel offers a range of transport links to the city centre. Handy bus and tram stops are a short walk from the front door, and the airport is just a few minutes' away by free shuttle . Toulouse Matabiau Train Station can be reached in under 20 minutes by vehicle. The hotel has 3 meeting rooms for up to 65 guests, and major companies, such as Airbus, Rockwell Collins, Rolls-Royce and Safran, have offices nearby. For aviation fans, Aeroscopia aircraft museum and the Airbus visitor centre are a five-minute drive away. Sights in central Toulouse include the Romanesque Basilica of Saint-Sernin, a UNESCO World Heritage Site. Art lovers can view Old Masters at the Musée des Augustins and contemporary works at Les Abattoirs. 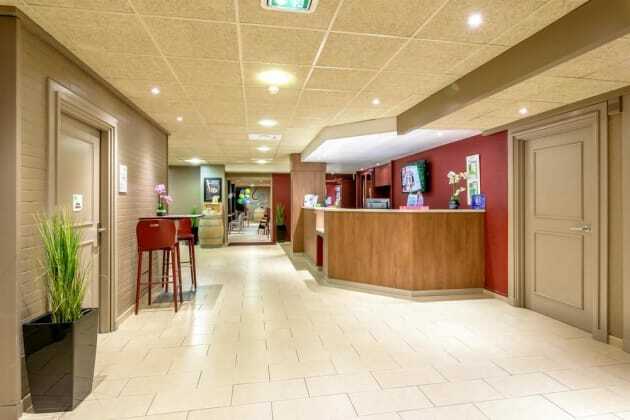 At this hotel you can enjoy: - Free Wi-Fi throughout - Free parking and Park, Stay and Fly for a fee - An Express Start Breakfast of hot and continental items included in the rate - A mini gym Triple-glazed rooms offer standard, family and business options. Relax on the sun terrace by the seasonal outdoor pool, or, in colder months, gather with friends by the open fire in the lounge bar, where drinks and snacks are served. Many restaurants are nearby.